International Journal Management Science & Business with registered number ISSN 0000-0000 (Print) and ISSN 0000-0000 (Online), is a peer-reviewed journal published two times a year (Mei and November) by Doctor in Management Program Sekolah Pascasarjana Universitas Pendidikan Indonesia. International Journal Management Science & Business is intended to be the journal for publishing articles reporting the results of research on management science and business. 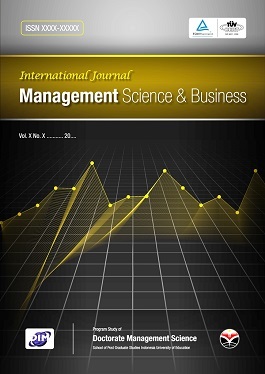 International Journal Management Science & Business invites manuscripts in the various topics include Organizational Behavior, Leadership, Human Resources Management, Innovation, IT, Operations and Supply Chain Management, Marketing Management, Financial Management, Accounting, Strategic Management, Entrepreneurship, and Green Business.